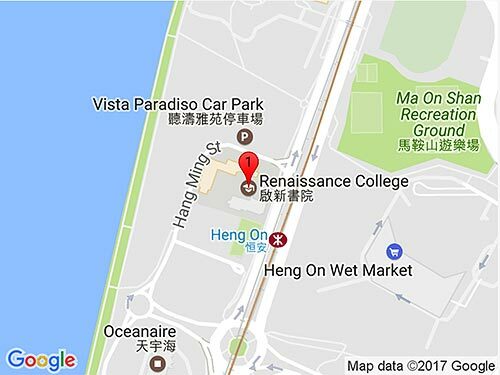 Renaissance College was established in 2006 by the English Schools Foundation (ESF) to serve the needs of the local and expatriate communities in Hong Kong. To provide parents with greater choices for their children’s education, the Hong Kong government introduced the Private Independent School (PIS) initiative. A total of 10 sites were allocated to education providers following a competitive tendering process. ESF was allocated two sites, one of which is located at Ma On Shan, in the heart of Hong Kong’s New Territories. The government provides private independent schools with a capital grant that covers construction costs. ESF added to this capital grant to provide additional specialist facilities. Unlike other ESF schools, Renaissance College does not receive a recurrent annual grant from the government. Because student places are not “sub-vented,” fees at RCHK are slightly higher than other ESF schools. Renaissance College is operated by ESF Educational Services Limited, a part of ESF. We are an English medium international school, and an accredited member of the International Baccalaureate (IB), Council of International Schools (CIS) and the Western Association of Schools and Colleges (WASC). RCHK is authorized four IB programmes: Primary Years Programme (PYP), Middle Years Programme (MYP), IB Diploma Programme (DP) and International Baccalaureate Career-related Programme (IBCP) *formerly known as IBCC. Students are educated from Year 1 to Year 13 on a world-class campus, guided by an experienced international faculty. Since the college opened, we have more than doubled in size and RCHK is now home to 2,050 students. We have a diverse student body, with more than 40 nationalities and 20 languages represented on campus. While we celebrate our cultural and linguistic diversity, English is the language of instruction. RCHK is a young, dynamic school that has benefitted from strong support from parents, staff and the local community. Our first IB cohort graduated in 2009, earning outstanding scores on the highly competitive IB examinations. Our students placed significantly above world averages and secured places at the some of the world’s most prestigious universities. In 2009, RCHK’s founding principal, Peter Kenny, was succeeded by Dr. Harry Brown. In 2013 RCHK was authorised to offer the International Baccalaureate Career-related Programme (IBCP), the fourth IB programme. This was a milestone, as Renaissance College became only the 8th school in the World to offer all four IB programmes and the first in East Asia to offer the IBCP. RCHK was authorised to offer the IBCP due to the work and vision of Stewart Redden (former Vice Principal) and Carol Larkin (former Head of Secondary) with the help of Laura Grodewald (former Spanish teacher).